A number of Trump administration senior national security officials confirmed Thursday that a number of Russia government entities hacked into the U.S. energy sector contributing to the broader power grid, with successful intrusions into U.S. systems. Officials did not confirm exactly when the incursions occurred, but said they were removed immediately upon discovery. According to one official, 4000 U.S. targets of Russian cyber attacks were notified last year about their vulnerabilities. Further, officials announced new sanctions will be implemented through the Treasury Department on five entities and 19 Russian individuals for their role in influencing the 2016 presidential election. Thirteen of the individuals were recently indicted as part of Special Counsel Robert Mueller's investigation into 2016 Russian meddling. Sanctions will also be issued as a response to the Russia government attempting to assassinate a former Russia spy and his daughter in the United Kingdom last week. "Truly responsible nations do not behave this way," a senior official said during a background briefing Thursday morning. The White House issued a joint statement with Germany, France and the UK condemning the attack and holding Russia responsible. "It is an assault on the United Kingdom's sovereignty and any such use by a state party is a clear violation of the Chemical Weapons Convention and a breach of international law. It threatens the security of us all. The United Kingdom thoroughly briefed its allies that it was highly likely that Russia was responsible for the attack. 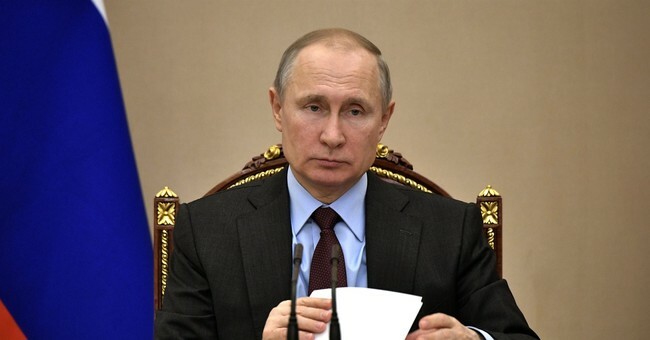 We share the United Kingdom's assessment that there is no plausible alternative explanation, and note that Russia´s failure to address the legitimate request by the government of the United Kingdom further underlines Russia's responsibility," the statement says. "Our concerns are also heightened against the background of a pattern of earlier irresponsible Russian behavior. We call on Russia to live up to its responsibilities as a member of the U.N. Security Council to uphold international peace and security."